that flow from our 2017 Award-Winning books. The turning of the wheel, the newness of the year invites reflection, and a great opportunity for a fresh restart. This contemplation of our internal compass may call for a full-on life reboot - or just an incremental, yet significant, shift of thinking, believing or acting. The following Nautilus Award-winning books offer valuable perspectives to inspire and empower the conscious creation of a New Story… A story that lights up your life and fulfills the vision of your heart & soul. Happy New Year! 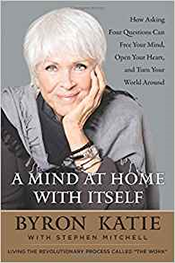 (Pg 23) Throughout the world, the idea of a universal, interconnected grid composed of energy, where we can access insights and energies that affect the physical body as well as the psyche, is a part of many healing traditions. Many of them recognize a physical world and an unseen world of consciousness and energy that seem to be separated but, in fact, are always intertwined. It is easier to perceive the interconnections between these realms when we are not bogged down by the limitations of ordinary awareness. Why does it matter what is beyond what the conscious mind can observe? The existence of an unseen world and what lies within it may be important not only to our physical health but for healing mentally, emotionally, and spiritually. 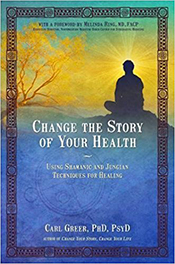 The promise of energy medicine and practices that involve expanded awareness — practices that can be found in Jungianism, shamanism, and other traditions and which you will discover in this book—is that we can access and work with these hidden insights and energies to heal what ails us. (Pg 113) Imagine what you would like to experience with your health. Even if your health is reasonably good, you want to be able to maintain that level of health, if not improve on it, in the months and years to come. Let your goal be to write a new health story focused on what you want to experience in the next several years. If you actually write out your new health story, with paper and pen, it can help you believe that what you aspire to experience can come true. It can also help you affirm what actions you want to take to meet your health goals. However, when it comes to actually bringing your new story of your health to life, you may find you can’t sustain positive changes by using willpower alone. The challenge may frustrate you. Hence, I recommend that you write a new story for yourself but also commit to using expanded-awareness practices and journaling to help you bring it to life. (Pg 2) For decades, I’ve been fascinated by people who change career paths — a feat most often seen among the well-to-do, who have ample social safety nets. Even with plenty of support, however, a major career change can be as fraught as jumping from one high-speed train to another. I’m also interested in people who decide, for whatever reason, to learn the unexpected or the difficult — the expert in Romance languages who overcomes his deficits in math; the floundering gamer who finds a way to soar academically in competitive Singapore; the quadriplegic who shifts into graduate-level computer science and becomes an online teaching assistant. In an age when the pace of change is ever increasing, I’ve become convinced that dramatic career changes and attitudes of lifelong learning — both inside and outside of university settings — are a vital creative force. Yet the power of that force often goes unnoticed by society. People who change careers or start learning something new later in life often feel like dilettantes — novices who never have a chance of catching up with their new peers. Much like wizards who think they are Muggles, they often remain unaware of their power. (Pg 142) Surprisingly often, we feel guilty about changing our careers or learning something new. When we are in our twenties, we think, “I could have been a first-rate guitarist if I’d just started when I was a kid!” When we reach age sixty, we look wistfully back at the more open possibilities of our thirties. We forget that when we were in our thirties, our options often seemed equally limited. Even college freshmen look with envy on other students who began studying French, physics, or philosophy in high school. No matter what our age, we often feel too old to learn something new. It’s hard to realize that the path not taken always seems alluring—and to see there are benefits to the path you have taken. 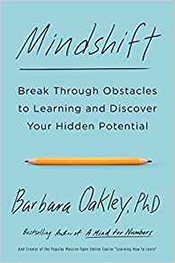 Retraining your brain to master something new as an adult can have profound benefits — not only for you, but for those around you and for society as a whole. These benefits are so valuable that even the world’s most accomplished people actively seek out career change. (Pg xvi) Sleepwalking through life, the weight on my chest so heavy I could barely breathe, and working an 18-hour day in a business that did not feed my soul, I was stressed out, burned out, unfulfilled, and empty. I was so far from the present moment and living eternally in the past, carrying a knot in my stomach so tight that it could only be washed away by a glass of Scotch at bedtime. I had accepted that this would be my life and resigned myself to the sad reality that one day, I would die, and the nightmare would be over. But then, in the wake of 9/11, at the four-way intersection of hopelessness, deep sadness, confusion, and lack of purpose, I walked past a row of cardboard boxes that people were living in on a street in downtown Manhattan. It was there that I received the first Sacred Whisper of my life — an unexpected moment in which time stood still and the voice of the Divine spoke directly to me through the body of someone I did not know and had never met. 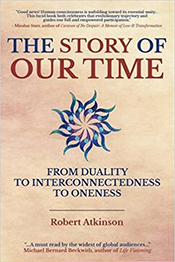 This life-changing hiccup in the space-time continuum was a defining moment of celestial convergence that absorbed me into a cosmic stream of timelessness — and ultimately gave me a new-found awareness and the inspiration to dream a new dream. 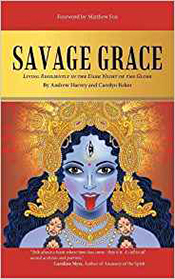 (Pg 89) ...We seek the true REbirthing of many aspects of our emotional, physical, psychological, and spiritual selves. We long for the creation of new memories, new desires, new choices, and new dreams. You’ve learned a lot over the course of your life. And if you could apply all that wisdom to your current circumstances and have a fresh start in just one area, your life would truly transform in magnificent ways. REbirth is a spiritual homecoming — our returning to the memory of our wholeness before we carved out all the ruts, climbed the mountains, crawled up from the abysses, trudged across the valleys, slid down the hills, and fell down rabbit holes. All these experiences have provided strength and wisdom, but we don’t need to hold on to the staleness of their trajectory. Even in the smallest of issues and the tiniest of concerns, you are worthy of a second chance. You are entitled to a new beginning! You are never stuck; the Universe has decreed that you are worthy of REbirth. You always have the power within to shift your life from where you are to where you’d like to be. Change is different than transformation. Change is finite; transformation is evolution. The Winning Formula of your life has gotten you to this point; your new Winning Formula will take you to the next level. You can REbirth any moment by accepting what is, releasing what no longer serves you, and stepping into a new beginning. Here we are in this sacred, precious present moment. What are you going to do with it? (Pg 7) I needed a new view of death. So I had to tell myself a new story. Death is dark, but it's also light, and between that contrast, I say a death positive narrative begins to appear. The dark and light can produce a rainbow of color that exists in spectrum of hues, shades, tints, and values. Its beauty is firmly planted in the storm, but we’ve become color-blind. (Pg 51-52) Along the way, I learned the Jewish concept of tikkun olam, which means “healing of the world” and is accomplished through presence in the midst of the pain. It can be summarized in the phrase, “I am here with you and I love you” and is accomplished through simple acts of presence. It became a rallying cry for me in my work as a funeral director. Rachel Naomi Remen, in an interview with Krista Tippett, describes it as "a collective task. It involves all people who have ever been born, all people presently alive, all people yet to be born. We are all healers of the world.… It’s not about healing the world by making a huge difference. It’s about the world that touches you.” Presence and proximity before performance. When a mother comforts a child, she’s healing the world. Every time someone listens to another —deeply listens —she’s healing the world. A nurse who bathes the weakened body of an elderly patient is healing the world. The teacher who invests in her students is healing the world. The plumber who makes the inner workings of a house run smoothly is healing the world. 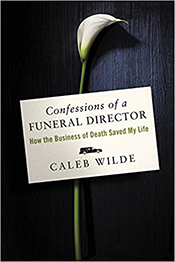 A funeral director who finds that he can heal the world even at his family’s business. When we practice presence and proximity, we may not change anyone, we may not shift culture or move mountains, but it’s a healing act, if for none other than ourselves. When we do our work with kindness —no matter what kind of work —if we’re doing it with presence, we’re practicing tikkun olam. There is a work of being present. There’s a ministry of presence. And this ministry of presence is an embracing of the now, of the world, and of the earth. In some ways it’s the work of a birth doula. Of waiting. Of listening. Of being a steady and small guide in the birth of life. It’s not always doing work with large projects and plans and huge acts. Changing the world sometimes involves massive movements, but mostly it can be accomplished through small acts of presence, listening, and kindness. And I believe it starts with embracing the earth by keeping our minds and hearts here, and not yet in the beyond and the next life. The old stories are good and teach us a lot about basics. But else are not necessarily helpful when your six-figure salary drops to zero because your job was shipped to China and you have to teach your replacement how things are done -- with a smile on your face and speaking pleasantly. …The end of things spreads daily across our television sets and newspapers and the Internet, spreading fear that the whole wide world is wrapped in chaos. Don’t believe it. Every ending brings a new beginning. Always. There is more good in this world than ill. People, instead of closing up, are opening up to solutions and ways to thrive in unusual times. We have more to be grateful for than to fear. I know what I am talking about. I lost everything when I died in 1977, including myself. The only logical thing I could say afterward was “God is,” and I chanted that by the hour. It kept me sane. 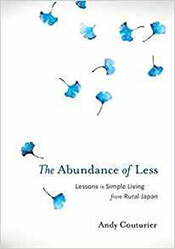 I had to relearn everything, from crawling to cooking, from putting on clothes to putting on a smile when I had no idea why I was smiling or why my children called me “mother” or why my employer called me “needed at work.” I reached out and took every class I could find, did every exercise recommended, learned and relearned every single thing —and more also. No stone was left unturned. What is the vision you have of your life? Today, we share with you five (5) Nautilus Award-Winning books from last year's 2017 season. 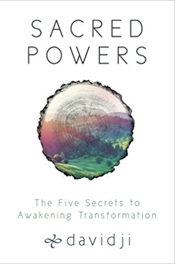 These five books are focused on the theme, Spiritual Awakening in the 21st-century. From quite varied perspectives, the authors share wisdom seeds, and suggestions for practices that can guide and encourage us. We hope you find them to be helpful in your own explorations. What I had indeed known all along is that things were coming to a head -and this book describes the ways in which we have reached the end of an old and failing worldview. We were confronted, as I suggest throughout this book, with a choice. The stories of the American democracy had become so muddled and confused with the narratives of white supremacy, of dogmatic neoliberal Capitalism, that a new story was required. 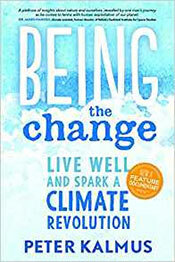 Throughout this book, I have intimated ways in which the new story might bring forth a more vibrant, sustainable, just and compassionate civilization. But there is no guarantee that apocalypse brings forth something better. Trump's supporters felt something that was real: They saw that the American Dream was no longer viable; they felt the end of the American middle class and the erosion of genuine community; they understood, perhaps unconsciously, that the narratives upon which their identity rested were being challenged. But the American people chose fascism -fear and hatred of the 'other' -over all the possibilities of a new world, a new dream. That's the thing about apocalypse: You can dive off the cliff into the unknown waters or you can cling in futility to the edge. But there is a bright side. The truth is that whoever was elected in November  was going to lead us over the same cliff. One side would have done so more gently, more slowly. But once you start over the cliff it doesn't much matter. Is it possible that all the fear and anxiety over Trump's presidency is because it forces us to deal with things as they really are? We can no longer pretend that we don't have to deal with climate change or that technology will save us. We can no longer pretend that we haven't dumbed-down our society to such an extent that celebrity is more valued than substance. This book is about the end--but it is not what you think. While I will draw from many sources that earnestly predicted that the complete and total end was imminent, I am making no such suggestion. Rather, I am suggesting that the Universe is repeatedly ending, in various ways: the phase changes of cosmic evolution; the evolutionary shifts that occur with mass extinctions and climate change; the historical transitions from one era to the next; the paradigm shifts that occur when human beings begin to think differently about who they are and their place in the Universe. The categories of “religion” and “science” are products of Modernity, Fragmentation, and the placing of various aspects of life into different categories —one of the hallmarks of Modern consciousness. Pre-modern culture would hardly have considered religion and nature as distinct categories; rather, they each would be woven into the whole fabric of life and world and worldview. This compromise was only a temporary fix. For it requires us to believe that the processes of our unfolding cosmos are in no way meaningful, in no way connected to the deepest mysteries of existence. The fundamentalist movement that has only grown in recent years is largely a response to this unsatisfactory solution. It sees the world in a way that is at once pre-Modern and, at the same time, profoundly Modern. 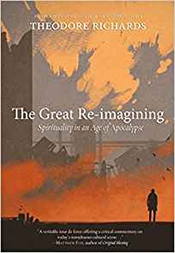 Believing he is returning to the original intention of his religion, the fundamentalist holds that everything is a part of the unfolding myth drama of his tradition. This is a pre-Modern view. At the same time, the fundamentalist can only exist in Modernity, for the fundamentalist can only understand that tradition literally, an approach that was unknown in the pre-Modern world. We are left with scientists —not all, of course —who claim the world is meaningless, and fundamentalists who claim meaning is only found in the specific, literal interpretation of their tradition. For most of us, meaning must be found in personal things: family life, emotions, the arts. None of it has to do with the cosmos, with nature, with the world of which we are part. As a result of this bifurcation, we have continued to devalue the natural world. Alienated from the cosmos, we have created a two-fold apocalypse: physically - because we do not believe that this world has any inherent value, we have continued to exploit and destroy. The fundamentalist can deny climate change because there is nothing sacred in nature. Even those who are not fundamentalists seem to believe this, for it lies at the center of Capitalism. As a result, we are precipitating the unparalleled destruction of the biosphere. Contemporary science is a revelation, and it reveals to us an organic Universe, one that is constantly birthing and revealing. It teaches us that we are intimately woven into the community of life and of cosmos. It teaches us that the Universe is process, not place —and that it is a single process. Its beauty is found in diversity, and at the same time, its sacredness is unescapable, for we are each other. The notion of separation is impossible. ‘Unity in Diversity’ is not just a slogan or a buzz phrase. It’s a way of explaining the principle of the oneness of humanity. It honors all the natural and unique forms of diversity that exist within the human family, from every ethnic group to each individual temperament. Diversity in the cultural and personal realms is just as vital and essential to the well-being of humanity as it is in the realm of the human gene pool. Leading thinkers today recognize this fundamental principle of the global age. Ervin Laszlo states that mankind “needs a star to follow”, or “standards by which we can direct our steps.” These will come from the “great ideals of the world religions,” he says, from the Christian vision of universal brotherhood, Judaism’s vision of all the families of the earth being blessed, Islam’s universal vision of an ultimate community of God, man, and nature; the Hindu vision of matter as the outward manifestation of spirit attuned to cosmic harmony, the Buddhist vision of all reality as interdependent, and the Confucian vision of supreme harmony in ordered human relationships. The crisis facing humanity is, ultimately, spiritual. Our greatest danger is complacency, remaining entrenched in a part-focused worldview. What is required is a change of consciousness, a spiritual transformation freeing ourselves from attachment to inherited assumptions and habits that no longer fit the needs of the day. 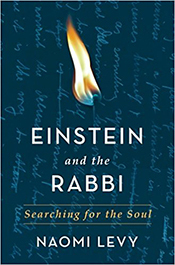 Einstein never uses the word “soul”, but in just four sentences he manages to paint a picture of an eternal life that exists in the here and now, an infinite life that we are blind to. According to Einstein, the ultimate goal of religion is to help us see and experience that greater whole we are all part of. He believed we have the power to free our ourselves from the delusion that we are separate entities, when in truth we are all interwoven strands in an elaborate and infinite web. …I knew about the summer cottage in Caputh. Einstein loved to escape into his thoughts there; it was a place where he could daydream and contemplate the workings of the universe. He kept a boat there too that his friends had given him for his fiftieth birthday. Einstein would sail off alone, and let the boat take him where it wanted to go. He wrote eloquently about the perfect life he experienced in Caputh: ‘The sailboat, the sweeping view, the solitary walks, the relative quiet —it is paradise.’ In Caputh, Einstein ruminated over his famous Unified Field Theory, the theory he was never able to solve. [Rabbi Levy continues,] How many times have I said the words, “Thank God it’s not me.” How many times have I counseled people who told me —in the face of a professional setback, a harsh diagnosis, or a devastating loss: “This can’t be happening to me. Not me.” Things like this happen to other people, to those unlucky, unfortunate souls. We delude ourselves that we are separate from others because we don’t want to feel vulnerable and small. But our denial makes us small. It is the source of pain, distance, and callousness too. We have the power to respond to suffering with soul. We have the power to step forward into our lives and into the lives of others with heart and compassion… Pity is the ego’s way of protecting itself from admitting to vulnerability. But the soul doesn’t need protection - it craves connection. We are capable of so much more than “It’s not me.” Your soul wants to mentor you in the ways of conscience, kindness, and caring… Lean on your soul and let it show you how you are tethered to people you don’t even know. Let it lead you to speak out, to get involved, to fight for justice. Put soul into the causes you are moved to get engaged in. When I was eighty years old, a journalist asked me if I ever planned to retire as a spiritual teacher. I smiled and explained that teaching is given not by talking alone, but by the way we live our life. Our life is the teaching. Our life is the message. And so I explained that as long as I continue to practice mindful sitting, walking, eating, and interacting with my community and those around me, I will continue to teach... I had already started encouraging my senior students to begin to replace me by giving their own Dharma talks. Many of them have given wonderful Dharma talks, and some have been better than mine! When they teach, I see myself continued in them. 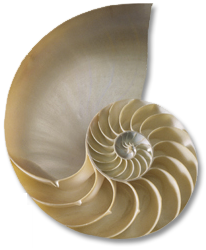 Today we share with you beautiful insights from several Nautilus Award Winning books (2017) of different paths to "finding home"... the journey of Belonging, our true core-center, and the richness of life experienced and ever unfolding from that origination-point. May you enjoy these excerpts! If you wish to get a copy of any of these books, we encourage you to ask your local bookstore or library to order a copy! "Inasmuch as we are searching for our purpose and occupation in the world, the more salient pursuit is in the who we are becoming. It is the vibratory signature behind our enterprise that has the most impact. So the real art-form is a kind of open question to the needs of the larger Self: How can I serve you? Do you feel understood? Where is your rapture? What are the conditions necessary for your expression and well-being? "Though we may think of questions like this as self-absorbed, they are actually what lead us to our greater nature that is in service to the broader inclination of the whole. Artful questions such as these penetrate our daily, surface concerns to take us into the deeper quest of the world, carried within our soul's code. "Place your roughly hewn piece into the world in the faith that, wherever you are, another is elsewhere doing the same. If they aren't, it is because they don't yet know their worth. And if you don't, it's because you don't yet know how gravely you are missed. Your small disappearances, your holding back, your choosing to forget, is what breaks the momentum of our belonging together. "A wild heart is awake to the pain in the world, but does not diminish its own pain. A wild heart can beat with gratitude and lean in to pure joy without denying the struggle in the world. We hold that tension with the spirit of the wilderness. It's not always easy or comfortable - sometimes we struggle with the weight of the pull - but what makes it possible is a front made of love and a back built of courage. Strong back. Soft front. Wild heart." Stop walking through the world looking for confirmation that you don't belong. You will always find it, because you've made that your mission. Stop scouring people's faces for evidence that you're not enough. You will always find it, because you have made that your goal. True belonging and self-worth are not goods; we don't negotiate their value with the world. The truth about who we are lives in our hearts. 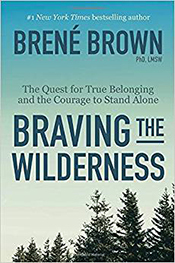 Our call to courage is to protect our wild heart against constant evaluation, especially our own. "When the mind realizes that it isn't this body, it ceases to experience threats, because threats don't make sense to what has no substance. Unquestioned mind is still conflicted, argues with itself, and worries about its safety; and there is no peace until it understands that there's nothing to deal with other than its own unquestioned thinking. Its life is mirrored out, since that's the only way to see itself, its bodiless journey projected as form. But when the mind wakes up, it can see itself only as brilliant imagination perfected, with nothing to get stuck on or to slow its infinite journey. "As it does The Work, mind can lose its grip on identity safely, gently. When you question your stressful thoughts and surrender everything that "you" thought you were, you come to a place where you wonder, 'Without that thought, what am I?' Just because an identity appears doesn't make it true. No one knows what he or she is. The minute it's said, it isn't. "Through the lens of imagery steeped in both music and water (after all, this is who I am - a pianist, a composer, a fly fisherman and above all, a worshipper of nature), I hope the reflections in this book will inspire you to resonate with an everyday awareness of the subtle music that plays within you, to become attuned to its synergistic components the way a caring orchestra conductor listens to his musicians. "This awareness, represented by the key of A, is the master key to inner harmony and the common denominator to all other keys to serenity. Developing this state of conscious living will nudge you to pause and breathe, to switch off the autopilot mode and learn to attune to your inner Self. "The key of B will help you to identify the beliefs and attitudes that empower or disempower you; it will allow you to understand the nature of balance and find your own unique state of equilibrium on the tightrope of life. "The key of C inspires you to access the transformational power of creativity, of conscious choices and change; D encourages you to harness discipline and implement a mindful strategy of physical, mental, emotional and spiritual self-care. The key of E takes you into the mind-boggling quantum perspective of life and allows you to grasp the essentiality and universality of the subtle energy that creates the template of your existence. "Played together, these keys will create synergy, clarity and flow (key of F). 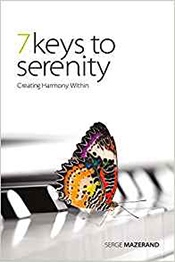 "Finally, but no less importantly, in the key of G, I will share with you my reflections on guidance, on how the exhilarating awareness of the God-force residing within us truly empowers us to find our way through life in harmony and serenity. We are honored to share some of the wisdom, love, hope, and creativity that flow from our recent Award-Winning books. 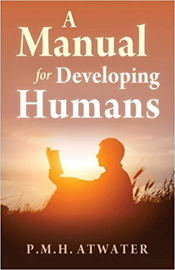 Each book below expresses an aspect of the theme, Living Lightly, Deeply. We will share some excerpts from other 2017 Award-Winners throughout the year, each time with a different theme. If you wish to get a copy of any of these books, we encourage you to ask your local bookstore or library to order a copy! 'Doing better than our parents' generation.' These mantras have been spoken into our ears since before we knew their true implications. Society values achievement. While this view of the purpose of life is reinforced at every turn, when we adopt that view, what do we lose? How does the collective trance of our society cause us to make choices we're not even aware of making? And if we do choose a different path than the culture surrounding us, how does that affect the next generation, the children in our house? Spending time with Asha Amemiya and watching how she raises her three girls, I saw how enriching it might be to have a lot more 'good enough' in my life. 'That would be bad-mannered!' she exclaims. Then more softly, 'There are flowers on the eggplant bush,' the delight of seeing those pretty light-purple flowers audible in her voice, 'and soon we'll have eggplants. It would be rude to the eggplant bushes - just ugly - to go out and buy them, don't you think?' I laugh out loud. It's funny, but she also does mean it. They're part of her community; she feels the relations of common courtesy toward them... Later in the afternoon, as I am looking through my notes, I glance across the room and Amemiya is stretched out on the floor reading a book, occasionally looking out the open door at the green... To my eyes, she seems utterly content. I don't see such faces in the massive and glamorous department stores, fourteen stories high and crammed with every sort of possible stimulus that offers -- no, promises -- to slake our thirsts." " How can we go to that [new] story? It's possible to come out of wanting, but it's not easy. In Chapter 11, I describe a simple meditation practice for developing awareness of and gradually coming out of the habit of wanting. 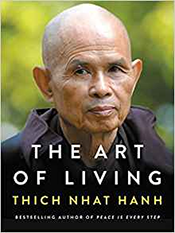 There are other practices in this book which can support this journey, such as opting out of the consumer economy, but meditation is the most direct path I know. Meditation has allowed me to begin to see how my own wanting works. There is much we can learn from the trees that surround us. 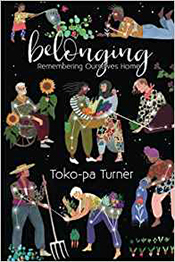 ~~ The Nautilus staff extends deep gratitude and love to the Authors & Publishers of these marvelous books, which express important aspects of the theme, "Living Lightly, Deeply." May we together help each other learn the truth of the One Earth Family. We are honored to share some of the wisdom, love, hope, and creativity that flow from our recent Award-Winning books. Each book below expresses an aspect of the theme, Embracing Diversity. We will share some excerpts from other 2017 Award-Winners throughout the year, each time with a different theme. "The Challenge: In Myanmar, the culture believes that girls are supposed to be meek and reserved. They do not appreciate girls' potential and abilities. As a result, girls 'can lose their confidence and motivation' to rise to their full potential. Author-Photographers Paola Gianturco and her granddaughter, Alex Sangster, collaborated with girls around the world to create Wonder Girls, which documents the change that groups of activist girls age 10 to 18 are igniting everywhere... 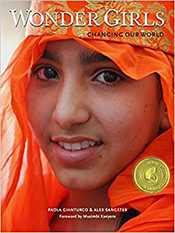 The Global Fund for Women, the world's largest grant-making organization benefiting women and girls internationally, will receive 100% of the authors' royalties from this book. 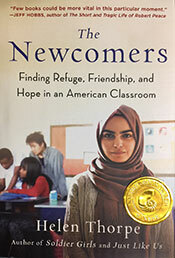 "Inside this school, where the reality of refugee resettlement was enacted every day, it was plain to see that seeking a new home took tremendous courage, and receiving those who had been displaced involved tremendous generosity. That is what refugee resettlement was, I decided: acts of courage met by acts of generosity. 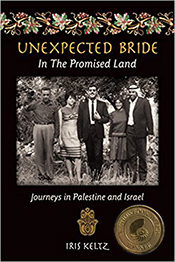 "The euphoria Israelis felt in 1967 after achieving the conquest of their dreams, especially the Old City of Jerusalem, has become a sobering reality as their civil society becomes more and more militarized. Neighbors who once were friends have become "the other." The enemy lives within. And the name of the enemy is racism and fear. If military might were the path to security, Israel would be the most secure nation on earth. "With youthful innocence, I shared life with the Palestinians moments before the curtain of occupation fell. I am grateful to have seen the Wailing Wall when it was nestled in the heart of the ancient Moroccan Quarter, to have walked through the streets of Hebron with no soldiers in sight, and to have experienced village life before the onset of modernization, pollution, and occupation. I loved the pristine landscape between Jerusalem and Ramallah before it was riddled with settlements and check points. It was a borderless, seamless world that welcomed me. ~~ The Nautilus staff extends deep gratitude and love to the Authors & Publishers of these three marvelous books, which express important aspects of the theme, Embracing Diversity. May we together help each other learn the truth of the One Human Family. We hope that these excerpts from four Nautilus Award-Winning books resonate with your journey. Thank you to all the authors & publishers who sent entries in our 2017 Season. We now look forward to welcoming the entries in our 2018 Season! Entries will be accepted with postmark-date between September 21, 2018 until February 8, 2019. See Entry Guidelines page for more details. May we each find a beautiful key in which to co-create our life and a Better World. 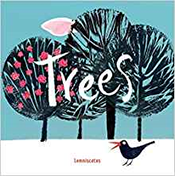 Award Winning Books from the 2017 Season were announced to the Nautilus mailing list in April 2018. Bookcover images of all the Winners are posted on our webpages, 2017 Grand/Gold Winners and 2017 Silver Winners (see navigation bar at left). For the current 2018 Season: Entry packages postmarked from Sept. 21 through Oct. 31, 2018 will benefit from Early Entry Fees. Entries postmarked Nov. 1- Dec. 31, 2018 will have Regular Entry Fees. And Entries postmarked from Jan. 2 through Feb. 8, 2019 will have Final Entry Fees. See our Entry Guidelines webpage for specifics! There is a link on that page to the 2018 Entry Form with details.